She was a vocal Pro Democracy Activist and a former cabinet minister in the government of Yahya Jammeh. She was a prior Minister for Health and Family Welfare (Secretary of State for Health, Social Welfare and Women’s Affairs under Jammeh. ambajang has ever been a good mediator engaging opposition parties to create a credible gender-balanced coalition for the 2016 National Elections which resulted to her election as Chair of the Coalition that fought to effect a regime change. 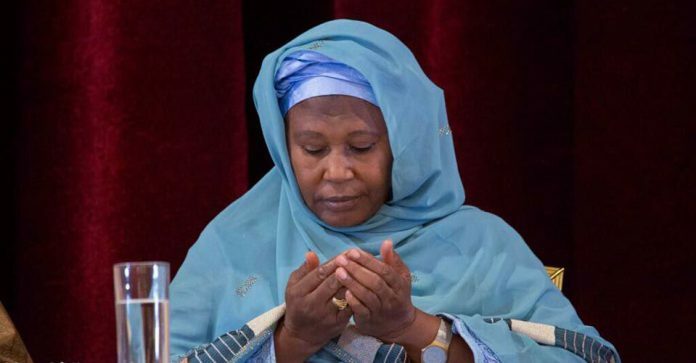 Her appointment was announced on Monday by Halifa Sallah, the Spokesperson of President Adama Barrow at a Press Conference held in Banjul. He further announced that the remaining list of Cabinet ministers will be announced later on State TV GRTS. Tambajang did great strides to unite opposition members in defeating the former dictator Yahya Jammeh in the December 2016 presidential election, ending his 22 years rule of tiny West African nation. Fatoumatta C.M. Jallow Tambajang was born on October 22 1949 in Brikama, a trading town in The Gambia. She schooled in the Gambia, Dakar and France. She is a national female icon, mother of eight (8) children and an award winning UNDP-groomed development practitioner focused on gender mainstreaming. During her work with UNDP and Women NGOs in various leadership capacities for over 20 years in both in stable and challenging environments, including 5 years in war-torn Mano River and Great Lakes Regions leading to her being victim of a rebel hostage situation in 2001 and 2002 she still strived and stuck to her commitment gender parity. She is a dynamic human rights defender with effective women’s rights and political activism in the Gambian mainstream Struggle for Democratic Change against the 21 year dictatorial regime for social justice, poverty alleviation, equity and prosperity. Last year, she was pinpointed as a mediator engaging opposition parties to create a credible gender-balanced coalition for the 2016 National Elections. She later was elected Chair of the coalition due to her great strides to unite opposition members in defeating the incumbent in December 2016. Fatoumata was former adviser on women and children affairs to the First President of The Gambia and has chaired the Gambia National Women’s Council and represented it at the Gambia National Economic and Social Council for six (6) years bringing about the strengthening of the National Council/Women’s Bureau and key women NGOs, empowered women in entrepreneurship, basic education and maternal and healthcare; a marriage bill was also adopted against early marriage; Government also supported the elimination of Female Genital Mutilation (FGM): 1980 Council’s Act. She was also former Secretary of State (SoS), Health, Social Welfare and Women’s Affairs and engineered reforms and initiated and launched a fund for special needy medical patients – The Sera Jarjue Fund. She was awarded Gambia’s highest national citizen award by the the first Gambian President, Sir Dawda Kairaba Jawara.